Teaser Dragon CTF 2018 starts tomorrow! 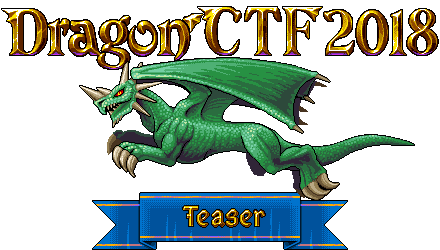 The Teaser Dragon CTF 2018 by Dragon Sector starts tomorrow at 12pm UTC! The tournament will be held in a pretty standard jeopardy format, i.e. it's a team-based CTF with dynamic scoring, and several tasks that may be in one of the typical categories (web security, reverse engineering, cryptography, pwnables, etc). As it's a teaser CTF, the number of tasks will be pretty low and the CTF itself will only go for 24h. There are prizes related to the main CTF event as well! 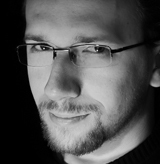 The main Dragon CTF will take place during the Security PWNing Conference on 19-20 November in Warsaw, Poland, and will be open to conference participants and invited top teams from the teaser, and will have it's own set of prizes - the total prize pool for the main Dragon CTF is 17000 PLN! UPDATE 2: The CTF is now over! Good Game everyone! See you at the main CTF*! 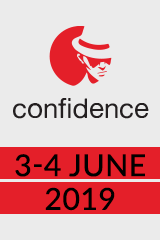 * Please note that the "Teaser" was not a "Qualifier" - the Main offline CTF is open to all Security PWNing Conference attendees that are onsite. I'm really happy to hear that :) Best of luck on future CTFs too!